A lightweight and adjustable maternity support designed to support the abdomen and prevent lower back pain in pregnancy. 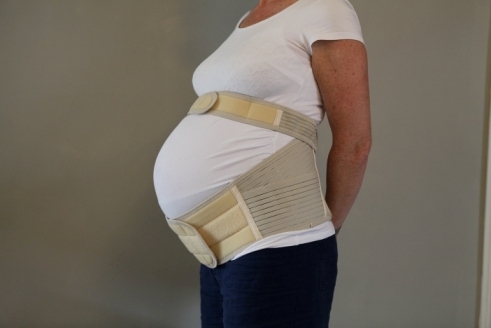 Fully adjustable to accommodate growth throughout pregnancy. 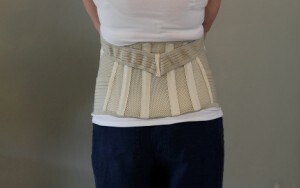 Built in stays hold the support in place and prevent the product from rolling. Elastic side panels add compression and ventilation. 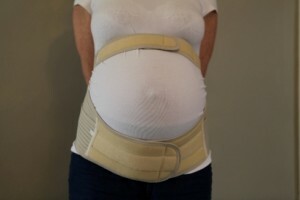 Materials are light and comfortable mix of Nylon, Polyester and Latex. Neutral colour ensures minimal visibility under clothing. Contact us on 045838691 to place an order.